Your story and moments are unique to you; your album should reflect that. Albums are completely customizable to create a personalized design you’ll want to share with your loved one’s time and time again. Jenny and her team of experts will be there every step of the process to ensure that the finished product is just as you’ve always imagined. You deserve a handcrafted album that makes you feel something every single time you look through the pages. 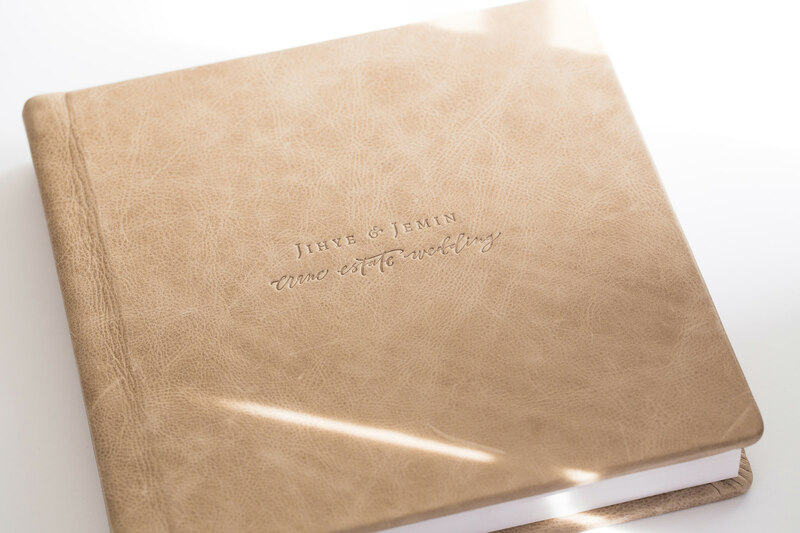 Our line of luxury wedding albums come from the best album makers in the country. Spreads are printed on the highest quality photographic paper and mounted to a thick archival board. 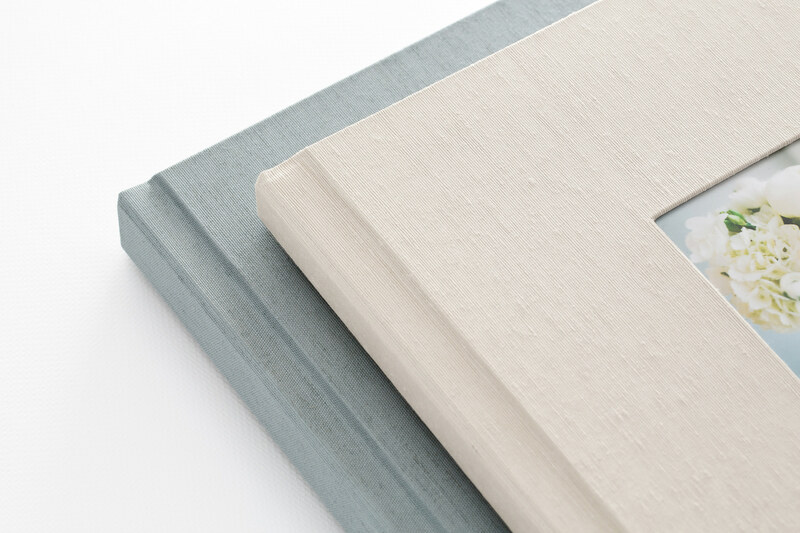 This results in thicker pages and edge to edge prints that span across the seam. 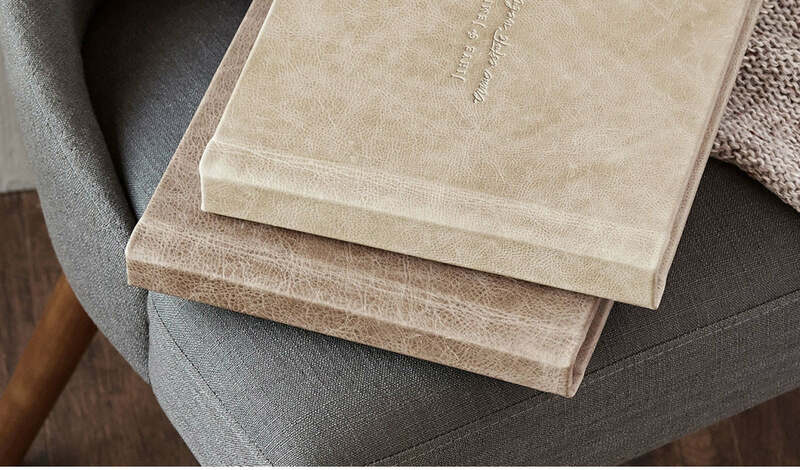 The albums come in many high-end cover materials to choose from – standard, distressed and luxe suede like leathers in many dies and colors. 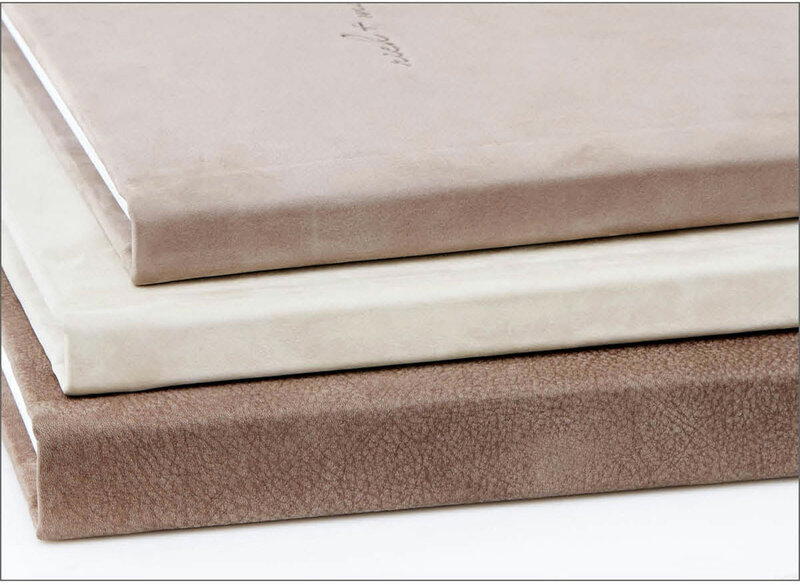 There are also plenty of non-leather choices of premium book cloth, European linens, and Japanese silks. Albums can also be embossed on the cover or have a photo cameo cut out for unique personalization. 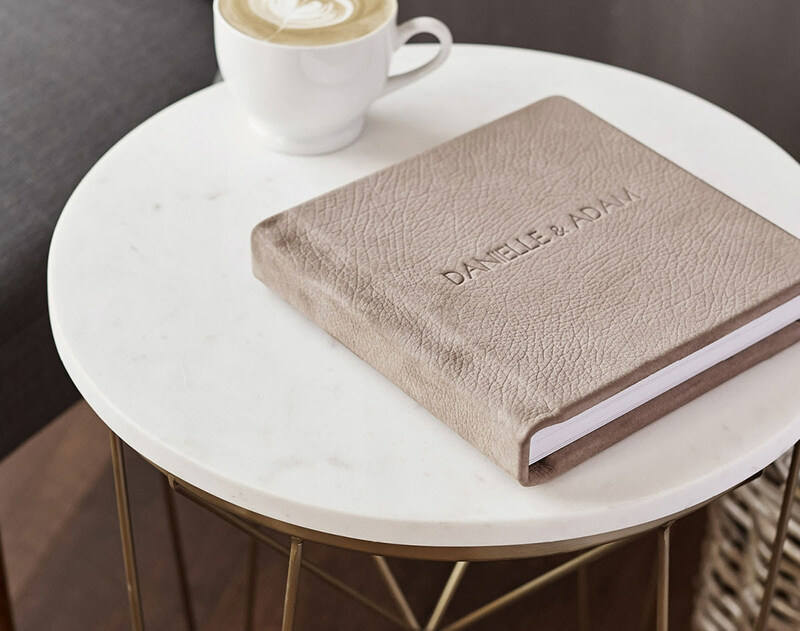 We offer a complimentary design service in our studio to help you create a beautiful, personal heirloom album you will love showing to friends and family. Learn more about our album spread design process here. Luxe Leathers in Charcoal and Alpine. 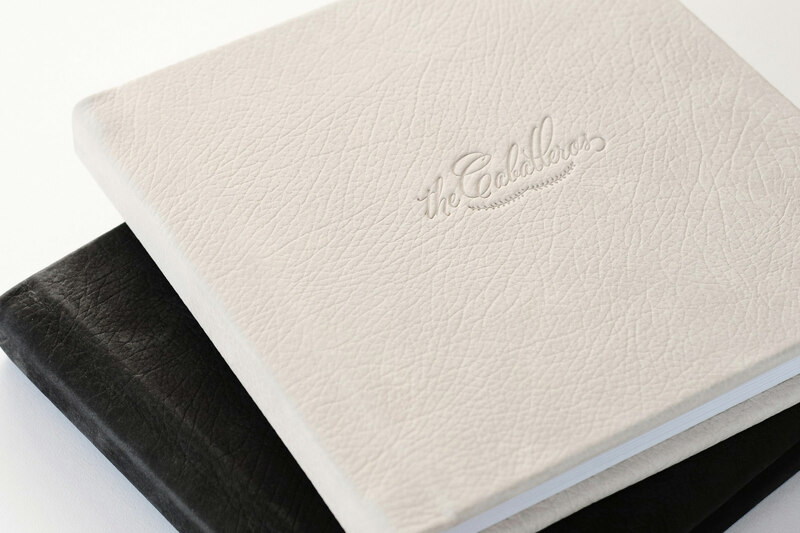 The top album features a custom logo embossing. 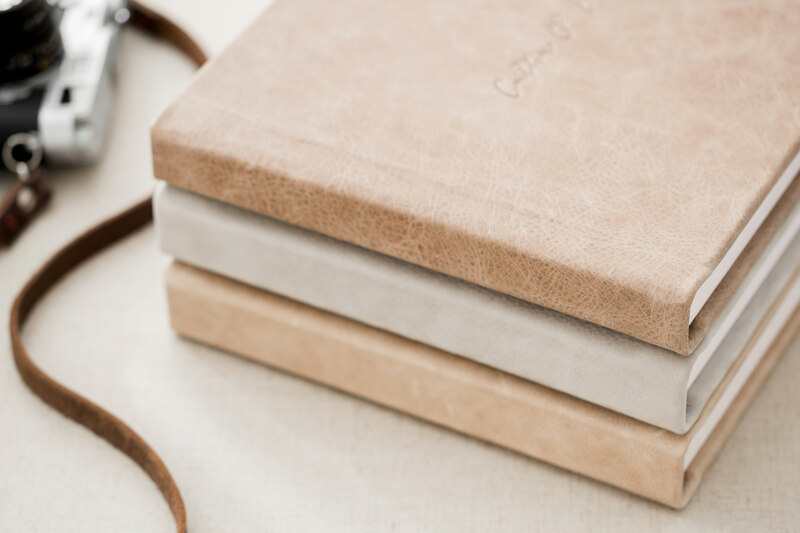 Custom embossed on nutmeg distressed leather. Fabric covers. The bottom is Moonstone luxe linen. The top is champagne with cameo cutout.